I agree it is a bit monochromatic. 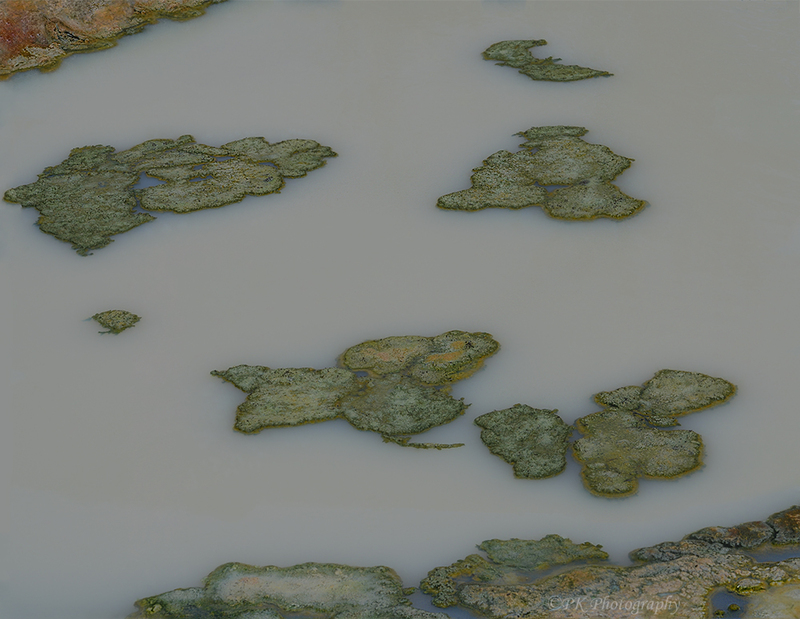 I think these are microbial mats floating in a mineralized pond, duller in color than most that I saw ay Yellowstone. I’ll take a look at it brightened up a bit. Thanks! Love the colors, milky water. I rarely see the abstract, so appreciate this view.